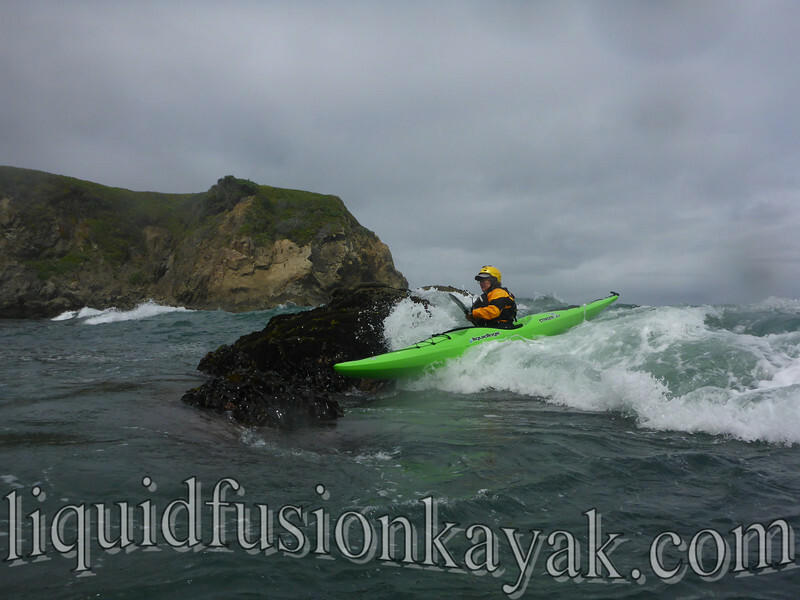 Liquid Fusion Kayaking's Mendocino Spring/Summer 2014 season has began. This month, we have hosted a variety of kayaking events including community events, instructor training, classes, and tours. 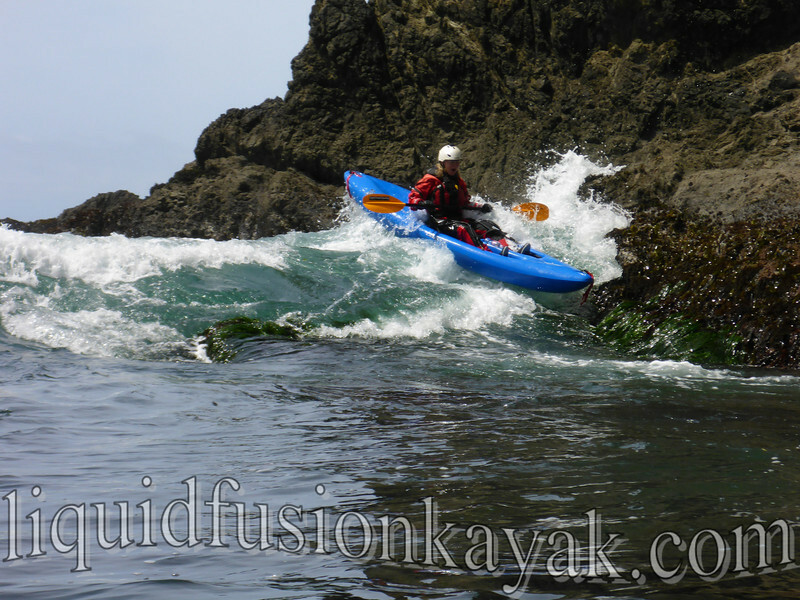 We kicked off the month of May with a 2 day custom Whitewater of the Sea Adventure. We had fun sharing the fun and thrills of rock gardening in whitewater kayaks with 4 returning students. 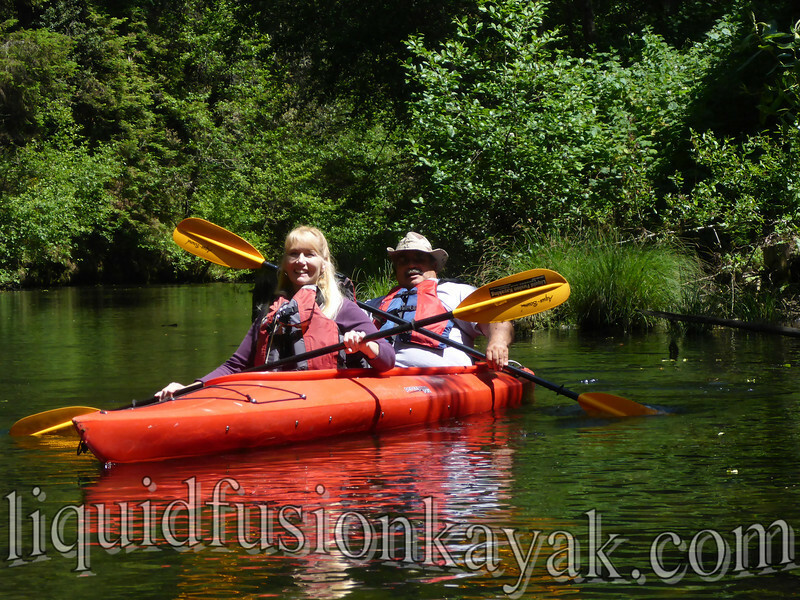 Then we jumped right into our Monday night Learn to Kayak Series for Mendocino County residents. 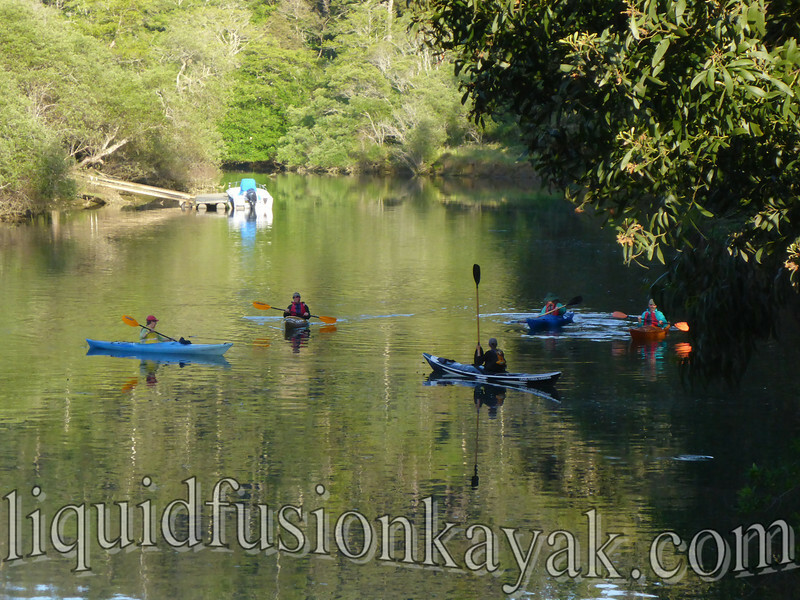 This is a 4 week evening course to introduce locals to kayaking. On May 8, our 5 day Instructor Training Course began. We hosted American Canoe Association Instructor Trainer, Bryant Burkhardt, to offer a Coastal Instructor Development Workshop (IDW) and Instructor Certification Exam (ICE). We had a beautiful stretch of weather for our 6 instructor candidates who came from as far away as Alaska, San Diego, Tahoe, Burney, and the Bay Area. 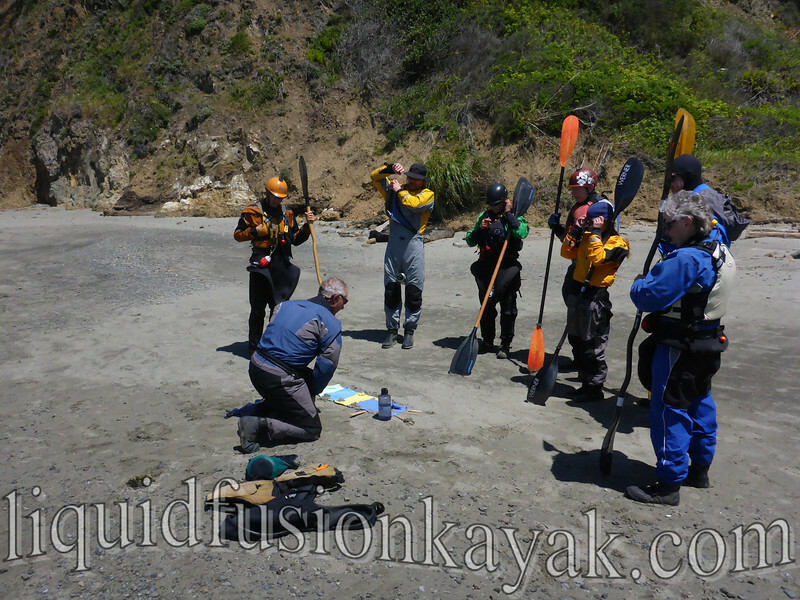 Surf zone instruction - on the beach and in the water. 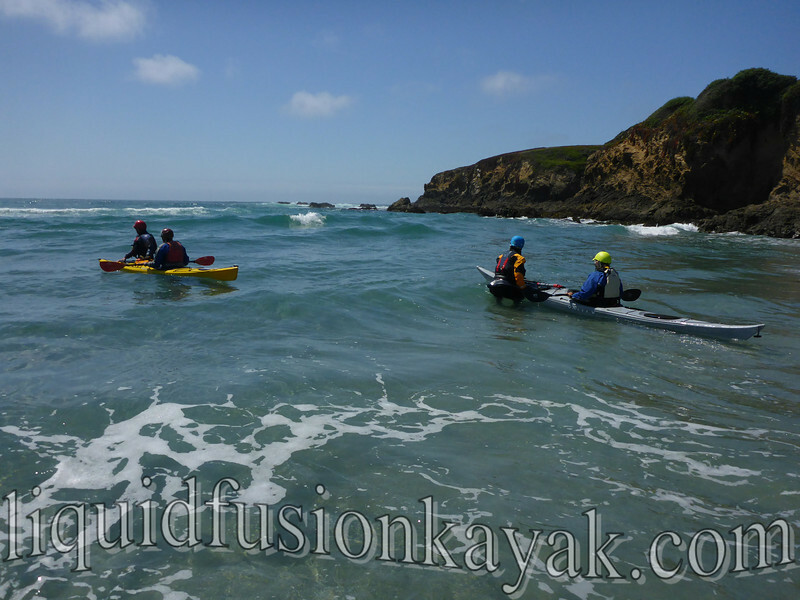 Last weekend, we kicked off our first Tracks to Kayaks, Whitewater of the Sea, and Sunset Bird Paddle tours. Chris celebrating his 50th birthday on a nice pour-over. 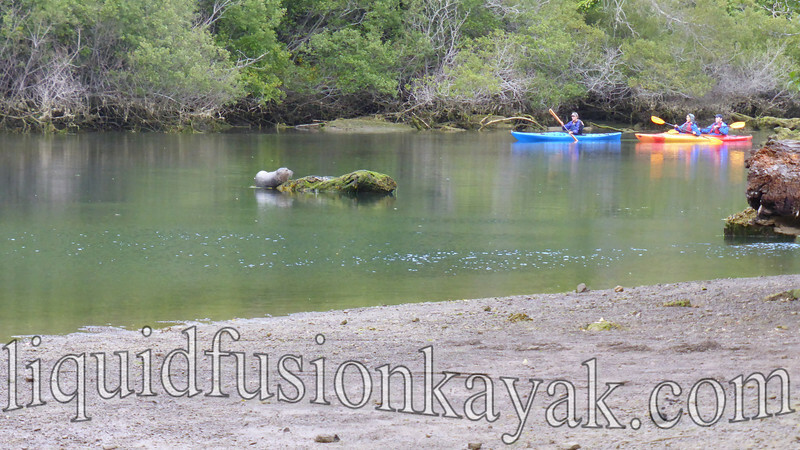 A harbor seal entertains paddlers on the Sunset Bird Paddle. A highlight of May continues to be our Annual Afternoon on the River fundraiser for Books for Babies and Kits for Kinder. 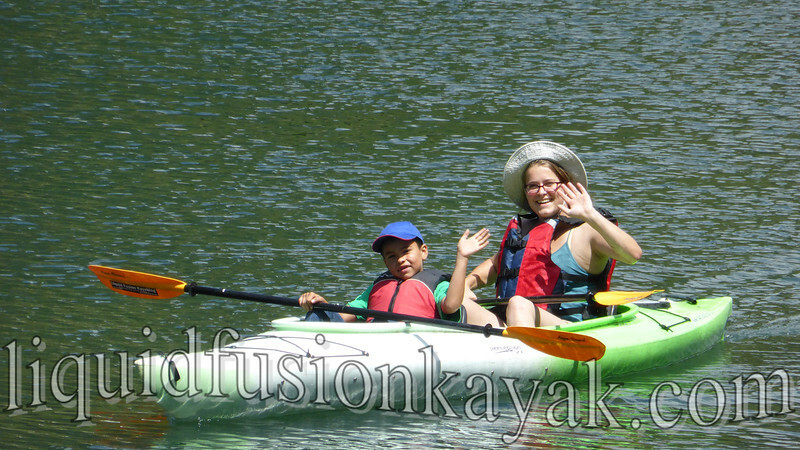 This year we had a spectacular day with sunshine and lots of local families coming out to enjoy kayaking on the Noyo River. 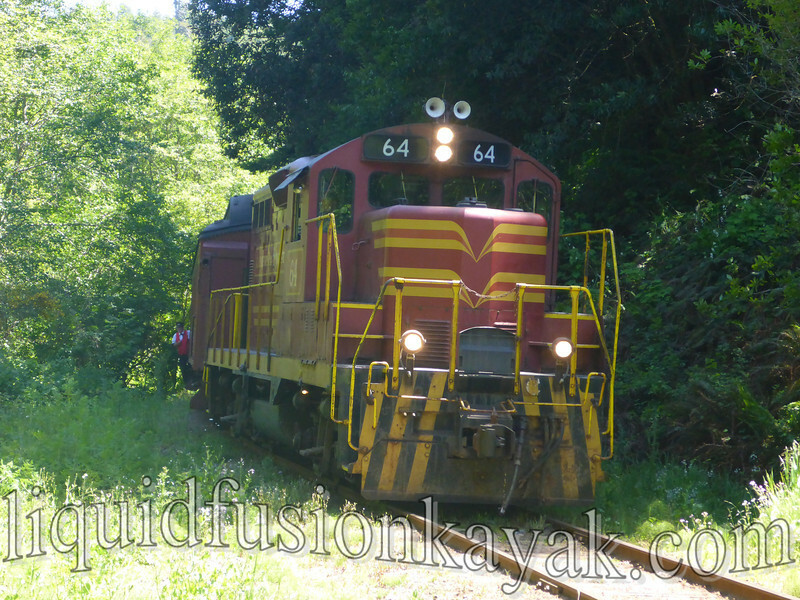 We are looking forward to a busy Memorial Day Weekend. 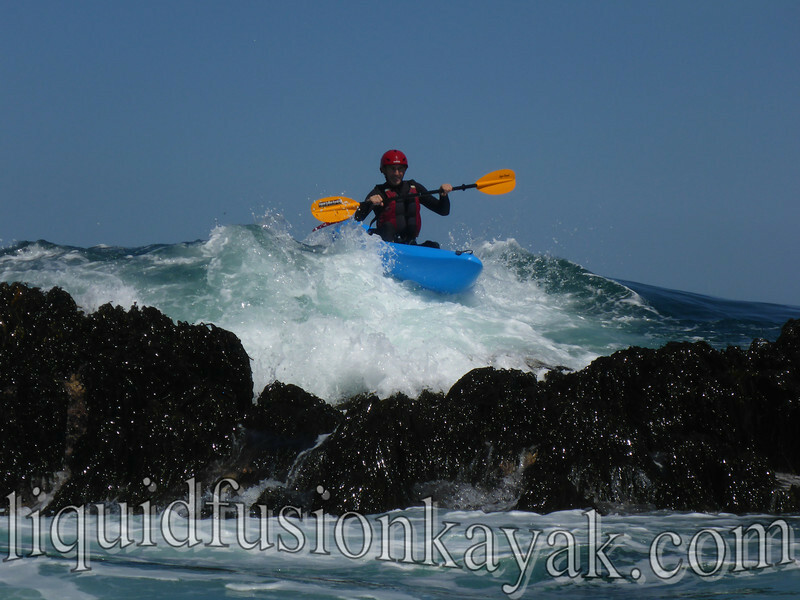 We still have a few spaces available on our Sunset Bird Paddle and Whitewater of the Sea Adventures including our Whitewater of the Sea Level II. Give us a call if you would like to come play.